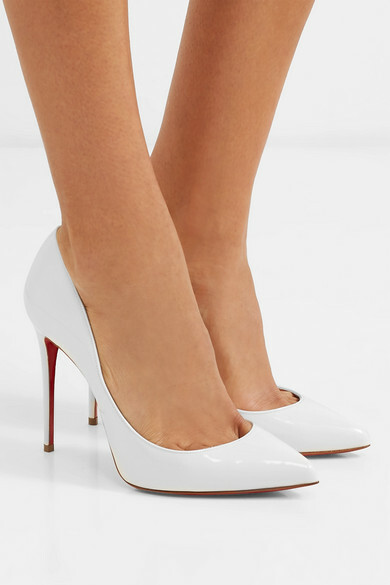 Christian Louboutin updates his signature 'Pigalle Follies' pumps in a 'Snow' white hue that feels so fresh for the season. 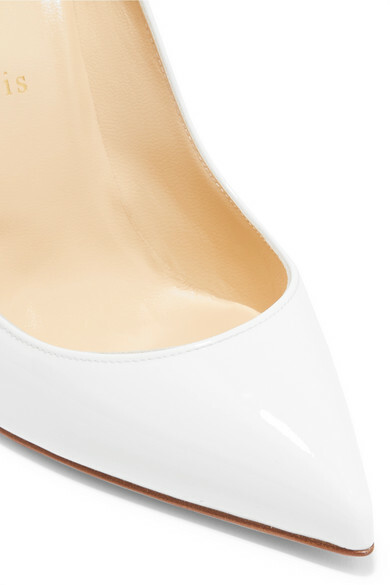 Crafted in Italy from glossy patent-leather, this pair has a sharp pointed toe and sits on a 100mm stiletto heel. They work for both evening and day wear, and are ideal for brides, too. 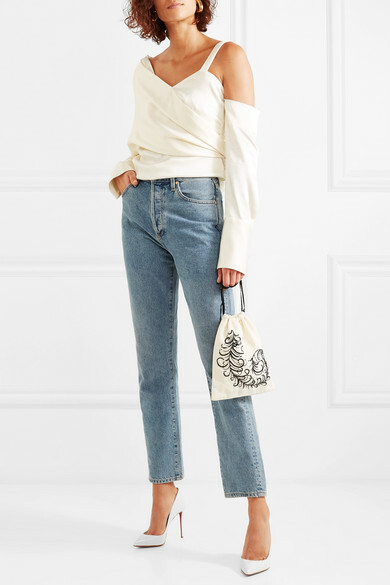 Shown here with: Monse Top, Goldsign Jeans, Attico Clutch, Ellery Earrings.